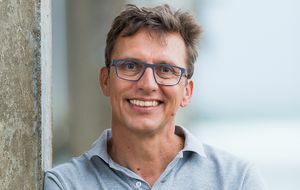 Detlef has been elected to the American Academy of Arts and Sciences. This year, more than 200 individuals with compelling achievements in academia, business, government, and public affairs have been elected to the Academy. The Academy was founded in 1780 by John Adams, James Bowdoin, and others who believed the new republic should honor exceptionally accomplished individuals and engage them in advancing the public good. 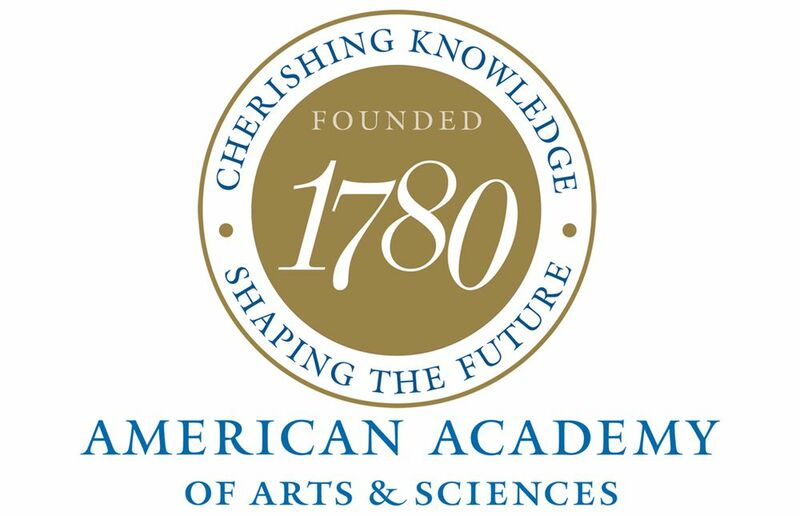 The Academy’s dual mission remains essentially the same 239 years later with honorees from increasingly diverse fields and with the work now focused on the arts, democracy, education, global affairs, and science. The 2019 class includes poet and foundation president Elizabeth Alexander (Andrew W. Mellon Foundation), gender theorist Judith Butler (University of California, Berkeley), author Jonathan Franzen, and author and former First Lady Michelle L. R. Obama. The 239th class of new members is available at this link. 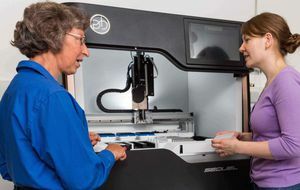 “While the work of this class includes work never imagined in 1780 – such as cultural studies, cybersecurity, disease ecology, nanotechnology, paleoclimatology, and superconductivity – these members embody the founders’ vision of cultivating knowledge that advances, in their words, a ‘free, virtuous, and independent people,’” said Nancy C. Andrews, the Chair of the Board of the American Academy. The new class will be inducted at a ceremony in October 2019 in Cambridge, Massachusetts, and join the Academy members who came before them, including Benjamin Franklin and Alexander Hamilton in the eighteenth century; Ralph Waldo Emerson, Maria Mitchell, and Charles Darwin in the nineteenth; Albert Einstein, Margaret Mead, and Martin Luther King, Jr., in the twentieth. Other notable living members are Daniel Barenboim, Judith Dench, Norman Foster, Bill Gates, Ruth Bader Ginsburg. Herbie Hancock, Yo-Yo Ma, Toni Morrison, Anne-Sophie Mutter, Barack Obama, Martin Scorsese, Twyla Tharp, and Denzel Washington. Congratulations to Patricia Lang, who will work on "Evolutionary genetics of stomata-related climate change-adaptation through space and time", and Giovanna Capovilla, who will work on "Prochlorococcus cyanophage: lysogenic potential and development of a genetic system". 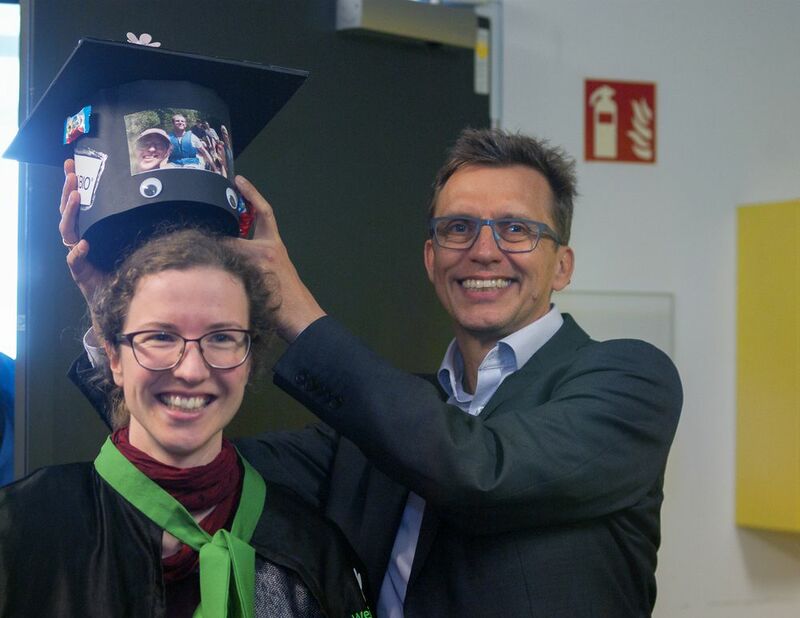 Congratulations, Dr. Karelina & Dr. Van de Weyer! 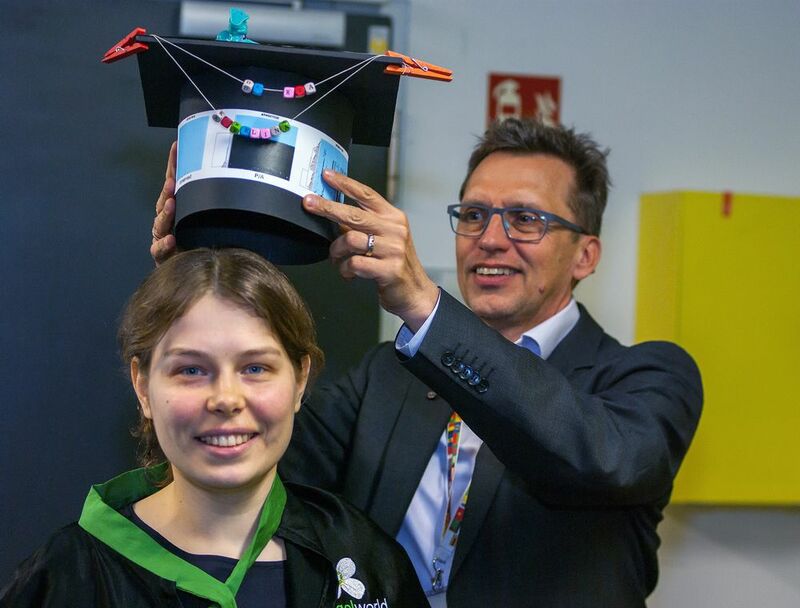 Anan-Lena's PhD thesis is entitled "The pan-NLR’ome of Arabidopsis thalianaGenome-Wide Analysis of Nucleotide-Binding Domain Leucine-Rich Repeat (NLR) Variation Patterns in Arabidopsis thaliana." Anna-Lena used NLR sequence enrichment combined with PacBio long reads to reconstruct the NLR complement in 65 accessions. Darya's PhD thesis is entitled "Genome-Wide Analysis of Nucleotide-Binding Domain Leucine-Rich Repeat (NLR) Variation Patterns in Arabidopsis thaliana". Darya used short reads from the 1001 Genomes Project as well as short reads from A. lyrata and C. rubella accessions to examine within- and between- species conservation of NLR genes. The phloem plays essential roles in source-to-sink relationship and in long-distance communication to coordinate growth and development throughout the plant. 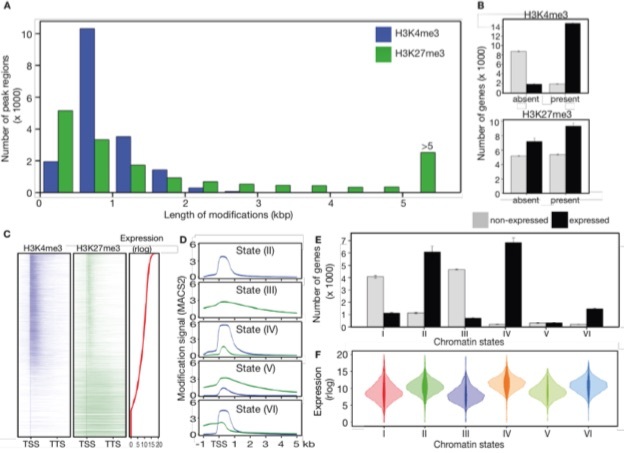 Here we employed INTACT coupled with low-input, high-throughput sequencing approaches to analyze the changes of the chromatin modifications H3K4me3 and H3K27me3 and their correlation with gene expression in the phloem companion cells (PCCs) of Arabidopsis thaliana shoots in response to changes in photoperiod. We observed a positive correlation between changes in expression and H3K4me3 levels of genes that are involved in essential PCC functions, including regulation of metabolism, circadian rhythm, development and epigenetic modifications. In contrast, changes in H3K27me3 signal appeared to contribute little to gene expression changes. 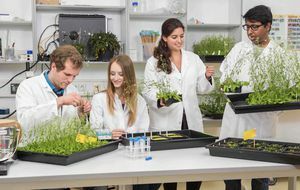 These genomic data illustrate the complex gene-regulatory networks that integrate plant developmental and physiological processes in the PCCs. Emphasizing the importance of cell-specific analyses, we identified a previously uncharacterized MORN-motif repeat protein, MRF1, that was strongly upregulated in the PCCs in response to inductive photoperiod. 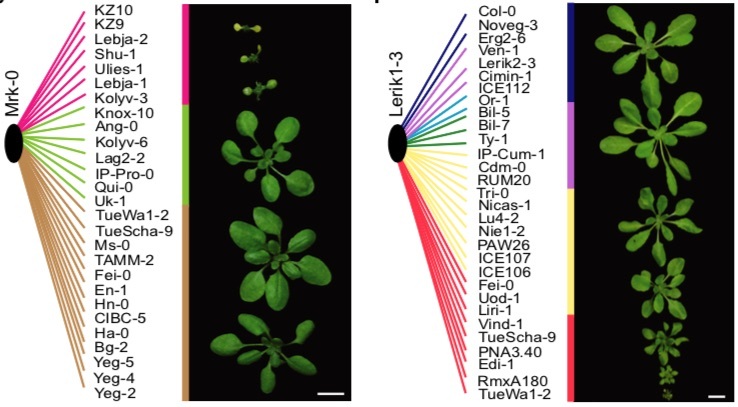 mrf1 mutation delayed flowering whereas overexpression had the opposite effect, indicating that MRF1 acts as a floral promoter. Genetic drift is expected to remove polymorphism from populations over long periods of time, with the rate of polymorphism loss being accelerated when species experience strong reductions in population size. Adaptive forces that maintain genetic variation in populations, or balancing selection, might counteract this process. To understand the extent to which natural selection can drive the retention of genetic diversity, we document genomic variability after two parallel species-wide bottlenecks in the genus Capsella. We find that ancestral variation preferentially persists at immunity related loci, and that the same collection of alleles has been maintained in different lineages that have been separated for several million years. By reconstructing the evolution of the disease related locus MLO2b, we find that divergence between ancient haplotypes can be obscured by referenced based re-sequencing methods, and that trans-specific alleles can encode substantially diverged protein sequences. Our data point to long term balancing selection as an important factor shaping the genetics of immune systems in plants and as the predominant driver of genomic variability after a population bottleneck. Hybrid offspring can look very different from their parents, including having greatly increased or decreased fitness. In many plant species, conflicts between divergent elements of the immune system can cause hybrids to express autoimmunity, a generally deleterious syndrome known as hybrid necrosis. We are investigating multiple hybrid necrosis cases in Arabidopsis thaliana that are caused by allele-specific interactions between different variants at two unlinked resistance (R) gene clusters. One is the RESISTANCE TO PERONOSPORA PARASITICA 7 (RPP7) cluster, which encodes an intracellular nucleotide binding site-leucine rich repeat (NLR) immune receptors that confer strain-specific resistance to oomycetes. The other is the RESISTANCE TO POWDERY MILDEW 8 (RPW8)/HOMOLOG OF RPW8 (HR) locus, which encodes atypical resistance proteins that can confer broad-spectrum resistance to filamentous pathogens. 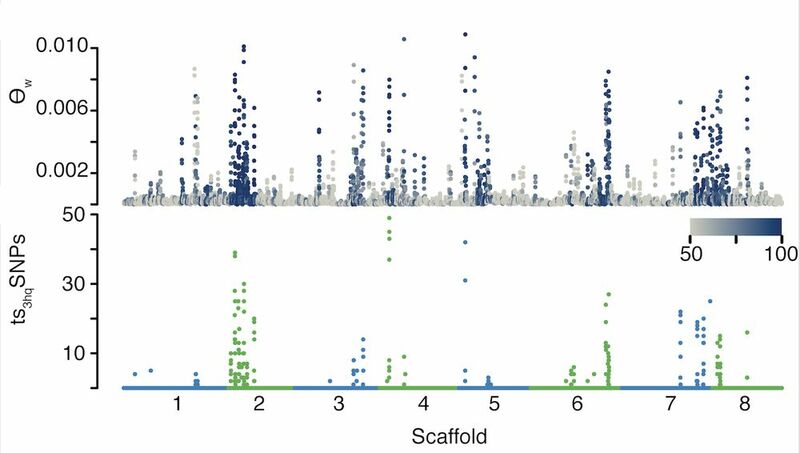 There is extensive structural variation in the RPW8/HR cluster, both at the level of gene copy number and at the level of C-terminal protein repeats of unknown function. We demonstrate that the number of RPW8/HR repeats correlate, albeit in a complex manner, with the severity of hybrid necrosis when these alleles are combined with specific RPP7 variants. This observation suggests that gross structural differences, rather than individual amino acid polymorphisms, guide the genetic interaction between RPW8/HR and RPP7 alleles. We discuss these findings in light of the similarity of RPW8/HR proteins with pore-forming toxins, MLKL and HET-S, from mammals and fungi.